Our pick and pack operation enables customers to store and deliver from our premises, saving them labour, space, time and money. As part of a complete supply chain management package, PGS Global’s pick-and-pack operation provides a solution for storing large quantities of stock that requires separation into individual consignments, re-packaging and distributing to a final destination. This is all supported by an integrated warehouse management system as well as a trained and dedicated workforce. 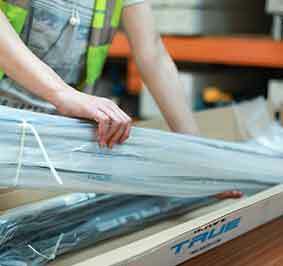 The pick and pack operation enables customers to store and deliver from our sites in Birmingham and Kidderminster, saving labour, space, time and money.